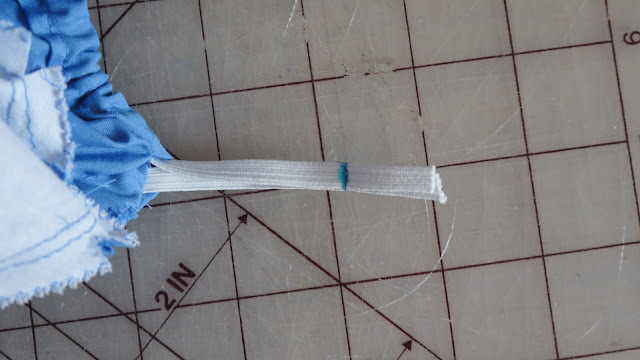 Whew, it's been a while since I said I was making this post. 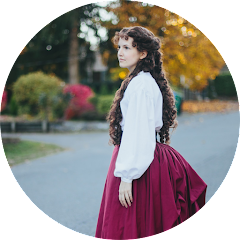 I haven't been working on costumes during the last month because of NaNoWriMo, and I finally decided to edit the photo's for this costume! This post is about how I made the dress, and I'll do another post on the apron soon. 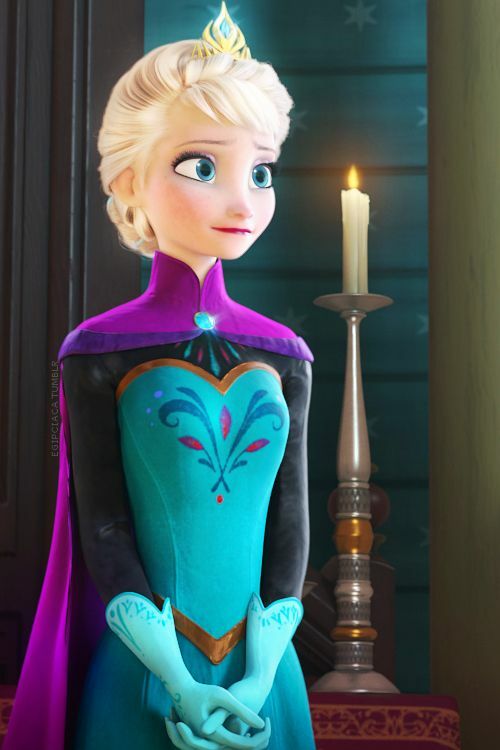 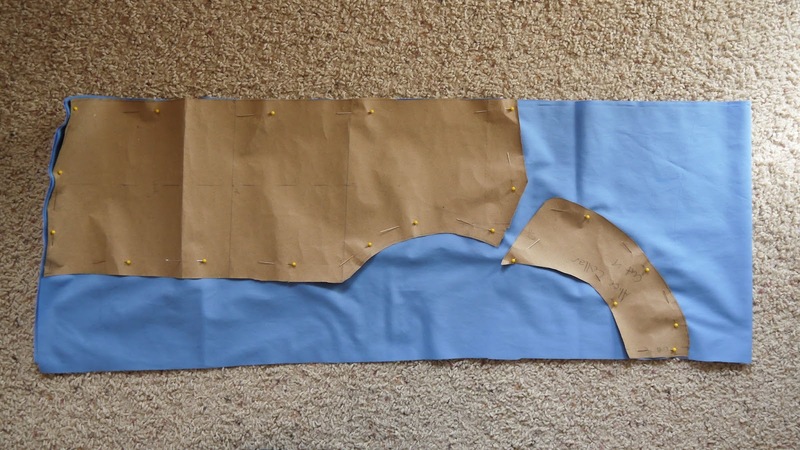 I drafted the pattern for the dress myself. 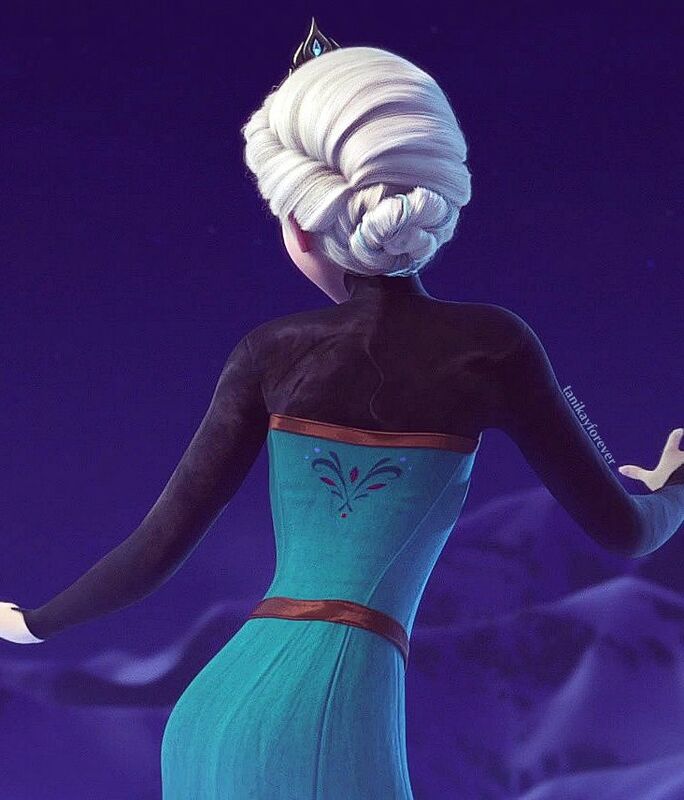 I originally wanted to do princess seams on the front and back, but I was having trouble draping it so I went with darts instead. 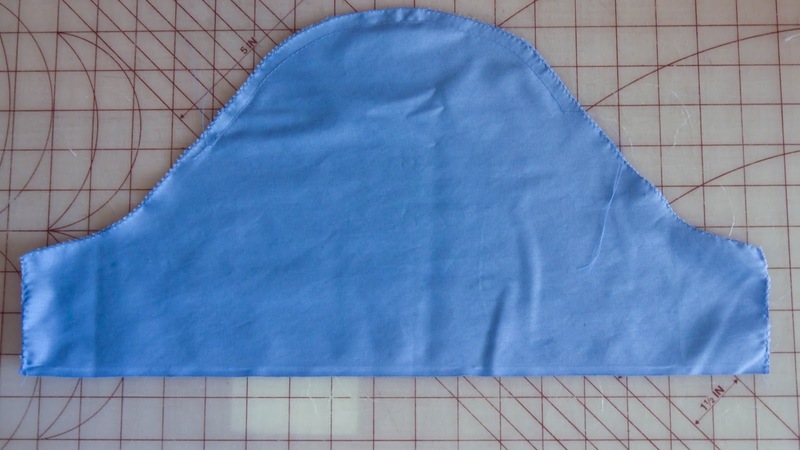 The fabric I used was a blue broadcloth that I bought at Jo-Ann's. 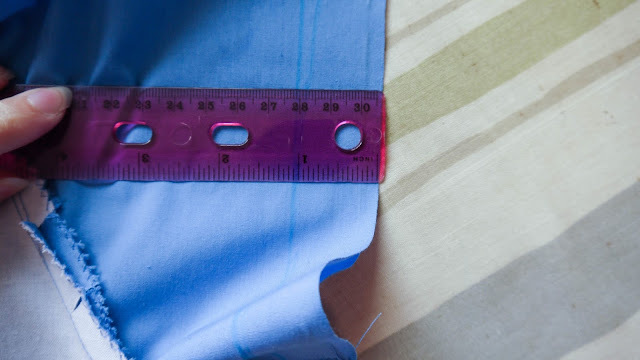 I purchased 6 yards but I only used about 4 yards. 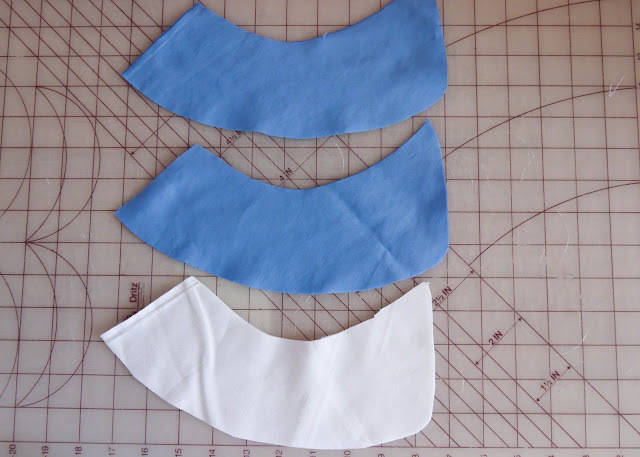 I'm hoping that I'll be able to make Belle's blue dress with the remainders since the color is perfect! Anyways, on to the skirt! 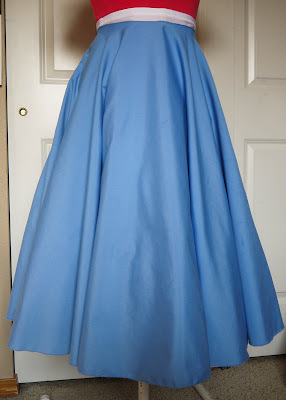 I used my circle skirt pattern that I drafted up back in 2011. I used THIS tutorial to draft it. 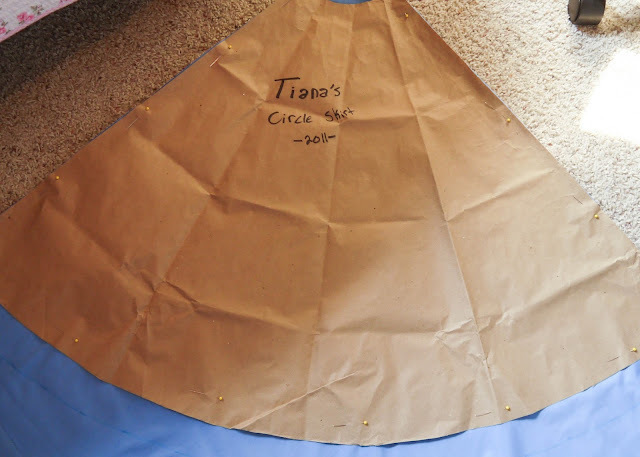 Since I had already made a skirt using this pattern I didn't bother with a mock up, but ended up adding 2 inches to the bottom of it. 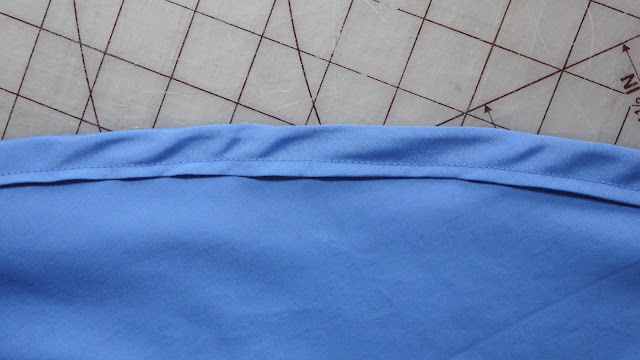 Because of the width of the fabric I was able to cut the full skirt in just 2 pieces. 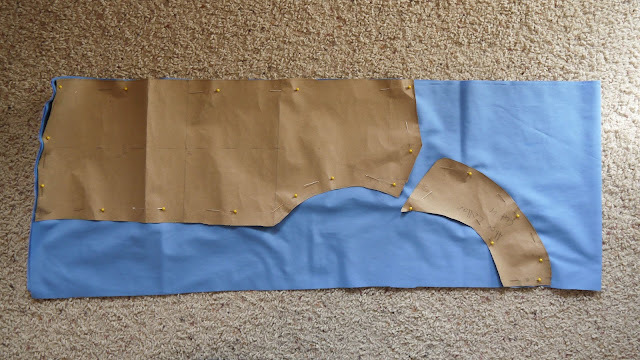 Below is my pattern, the left side of the fabric is folded so that this piece forms half a circle. I cut two pieces like this for my skirt. I cut the second piece down the center to make it into 2 pieces for the zipper. 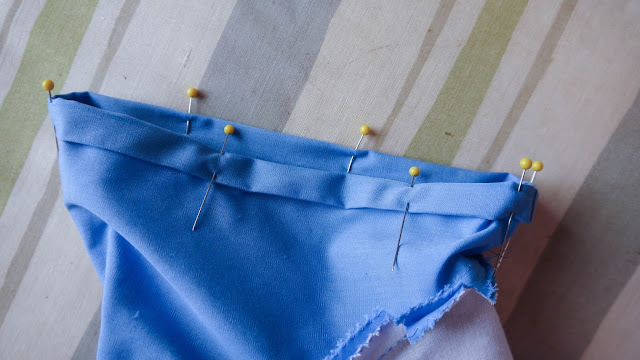 Next I zig zagged all the edges of the skirt to prevent them from fraying. 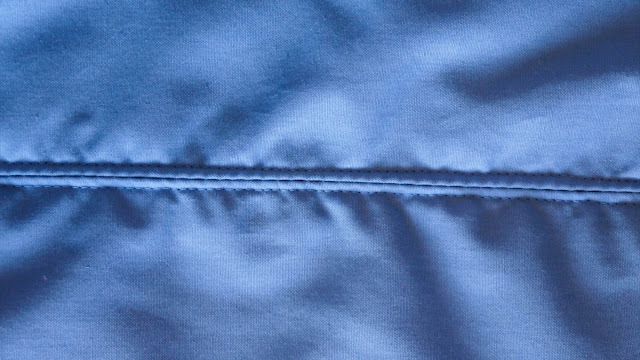 After that I stitched the skirt together with 1/2" seam allowance, leaving about 5 inches open in the center back where the zipper will go. 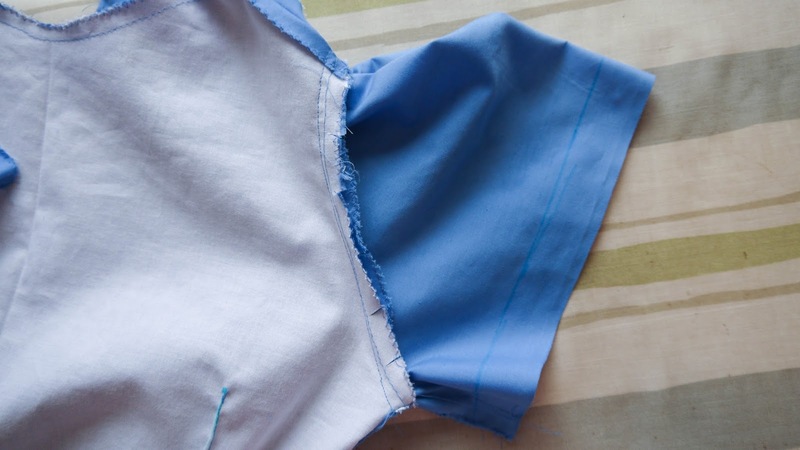 Then I stay stitched around the waist to keep its shape. 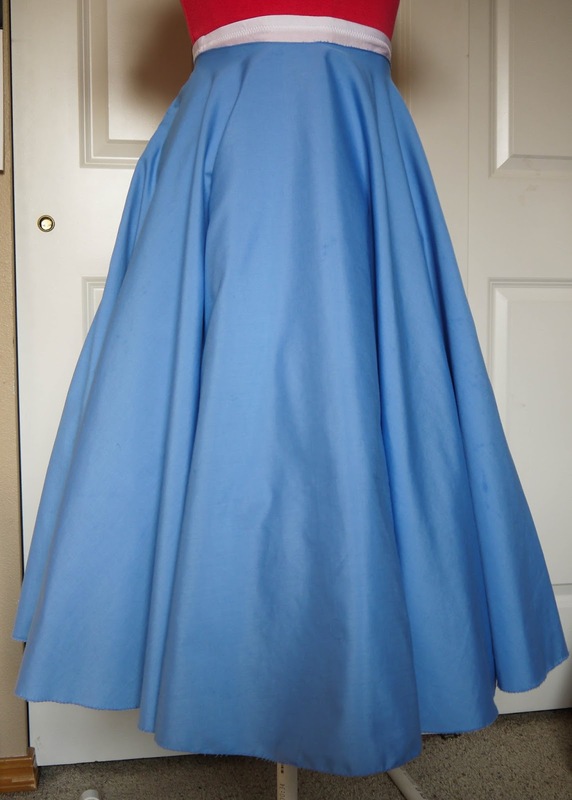 Here's the un-hemmed skirt on my dress form with my petticoat. 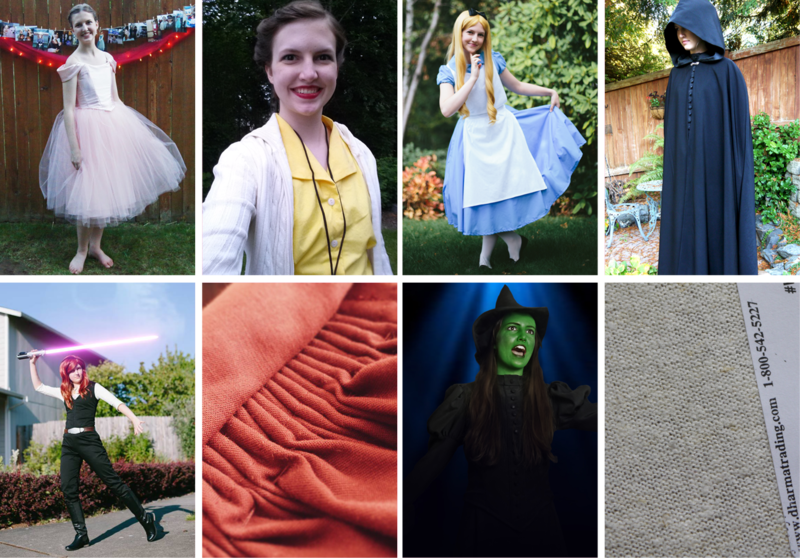 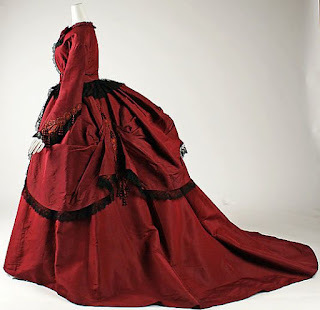 I ended up pulling the petticoat up higher and adding a 2nd petticoat to get a better silhouette. 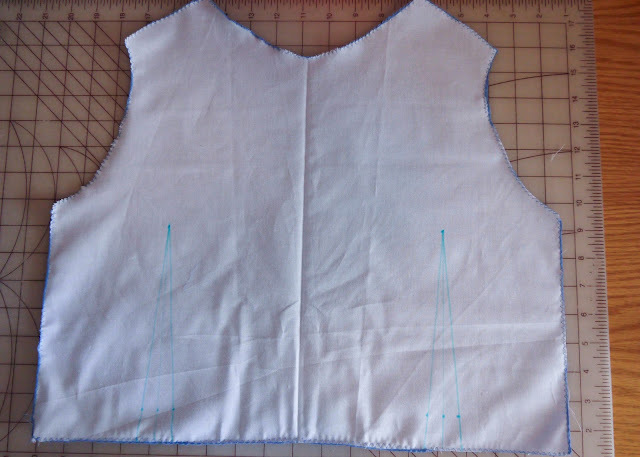 Next up, the bodice. 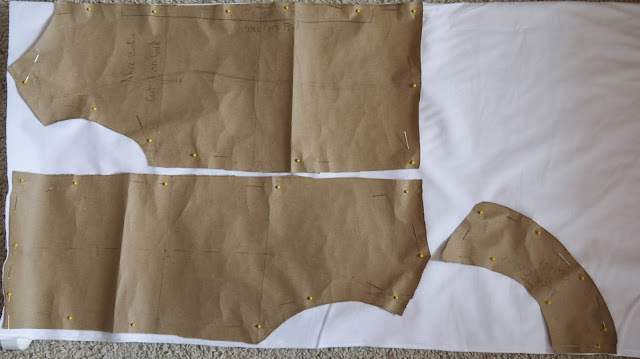 I cut all my pattern pieces out of my broadcloth as well as muslin to flatline the bodice, which gives it more support. I zig zagged my flatlining onto my broadcloth to hold them together and to also keep the edges from fraying. 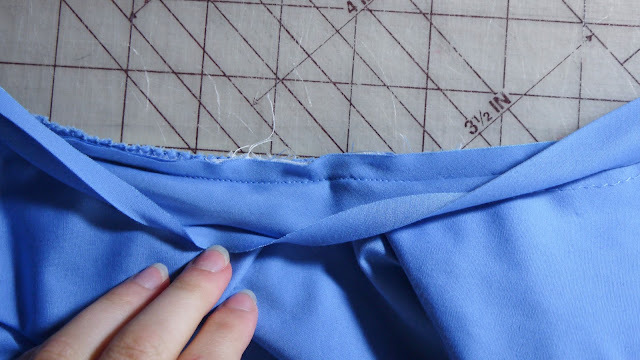 Then I marked and stitched my darts, and I sewed the front piece and the back bodice piece together at the side and shoulder seams. 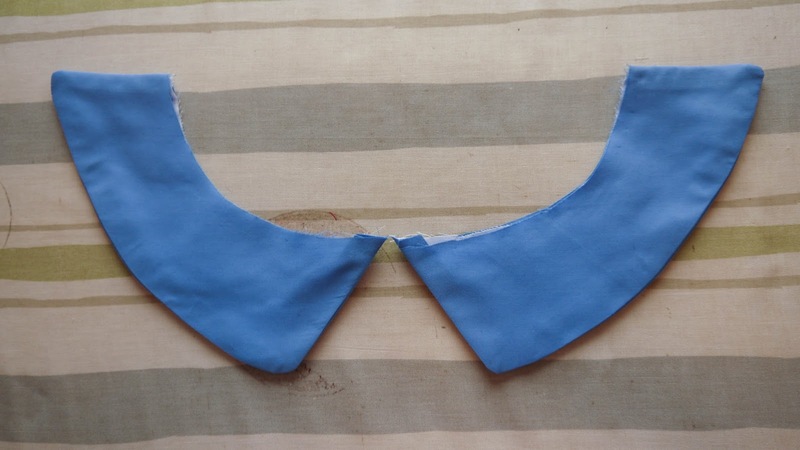 Next I started the collar. 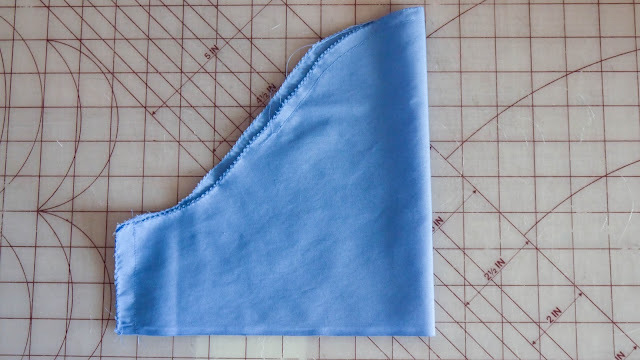 I cut 4 pieces in the broadcloth and 2 pieces in muslin to use as an interfacing. 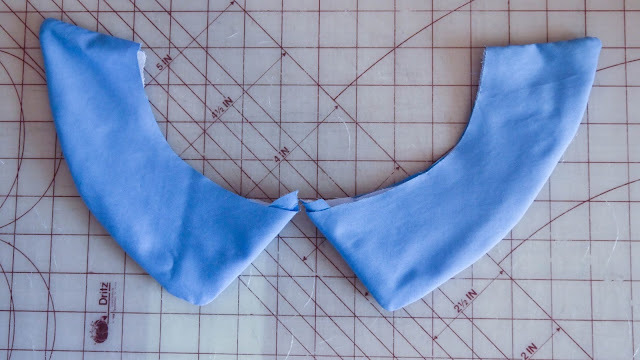 I didn't bother to serge my collar pieces since no raw edges were going to be visible and neither of the fabrics frayed that bad. 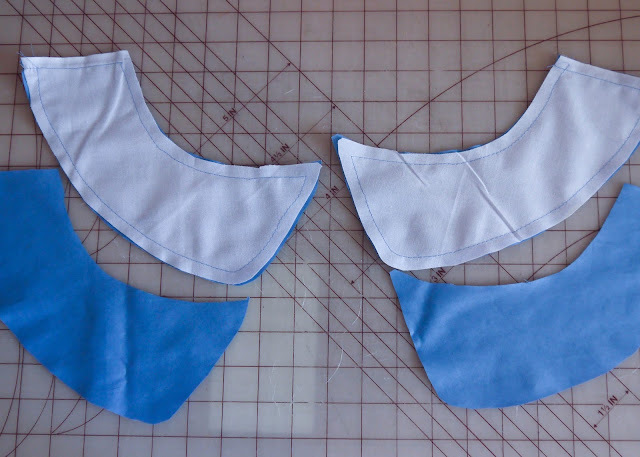 After that I clipped the corners and around the curves. 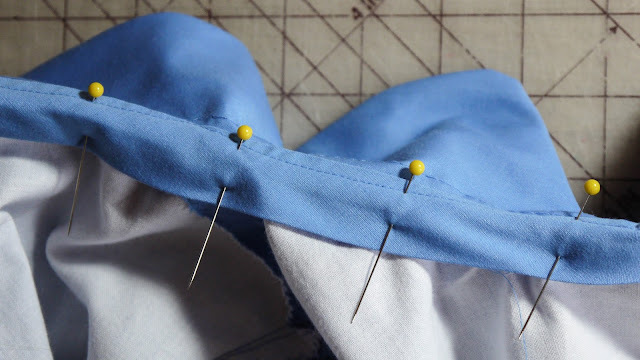 You do this so that it will lay flat and not pucker. It basically helps the fabric be more flexible. 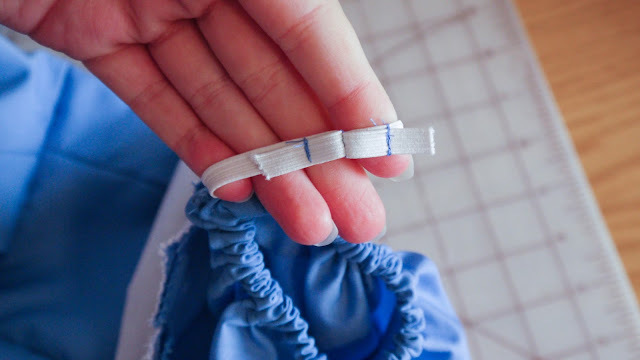 Then I turned them right side out and ironed them and set them aside for the time being. 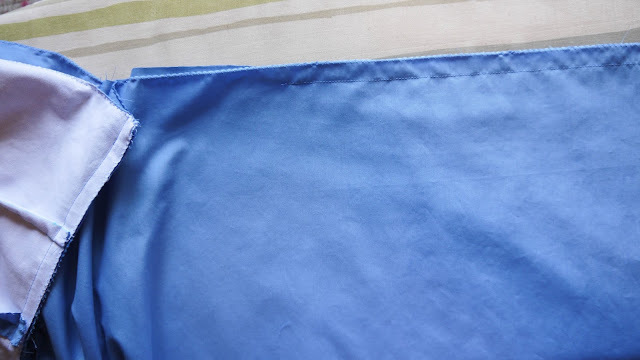 This is what my sleep piece looked like. 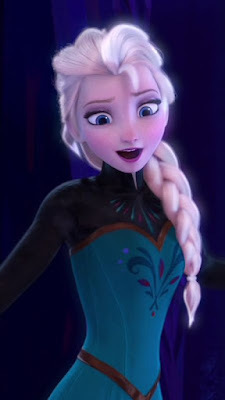 I didn't do any sort of flat lining on the sleeves, as I didn't feel like they require it. 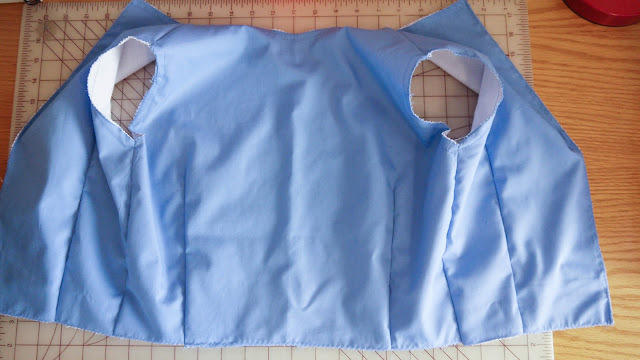 After zig zagging the edges, I basted around the top edge where I would gather them when I set the sleeves in the bodice. 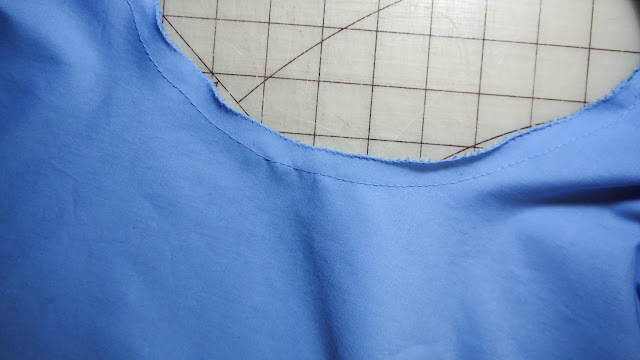 Then I stitched the sleeve at the bottom seam before pinning the sleeve into the bodice. At this point I gathered the top part of the sleeve and fit it into the arm hole, matching the bottom arm seam on the bodice to the sleeve. 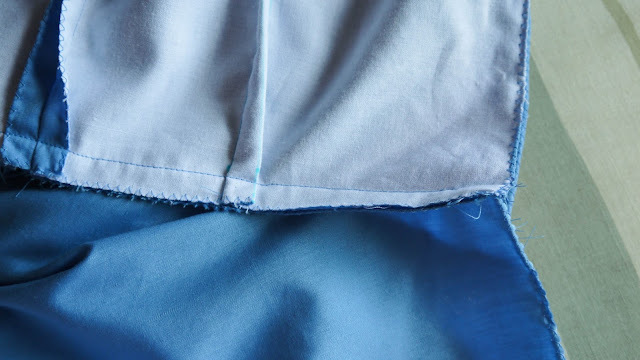 After the sleeve was stitched in, I hemmed it. 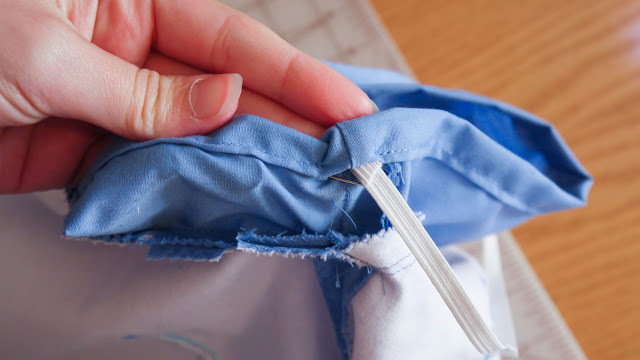 A trick I started using is to draw with a fabric pen where you are folding the sleeve. 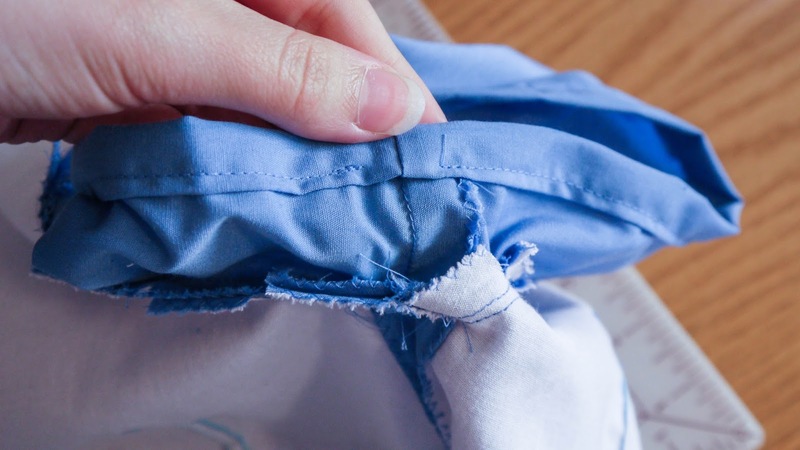 It makes it easier to fold the fabric over where you want it opposed to ironing, especially when you are working with small sleeves. 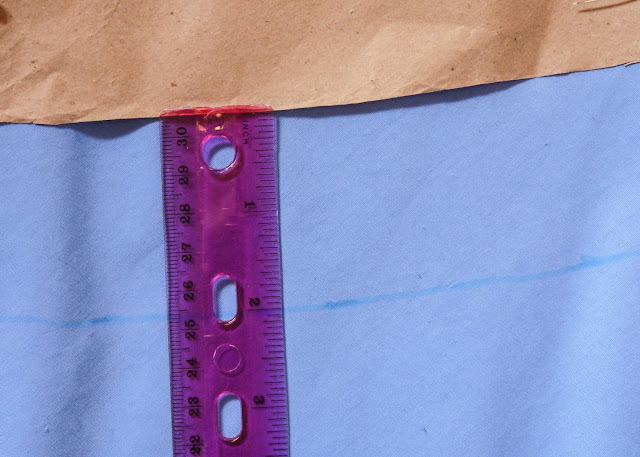 I marked out 2 lines, 1/2" and 1" where I would fold the fabric. 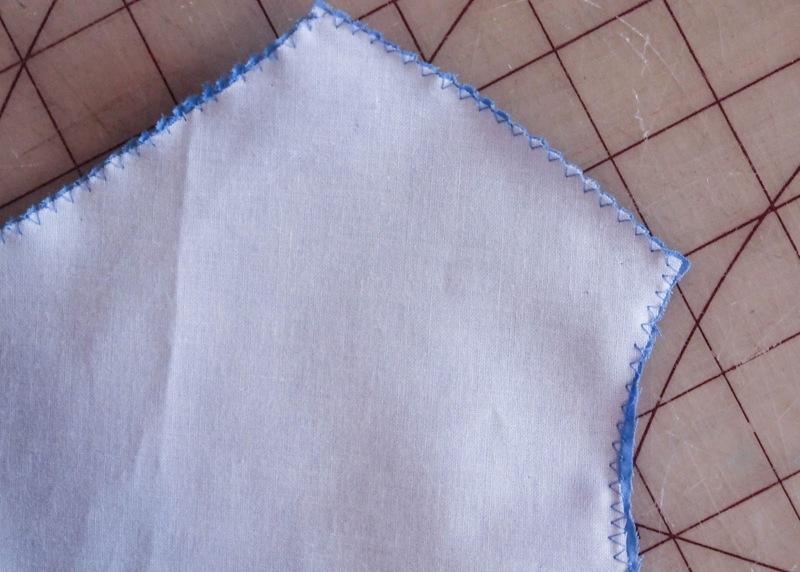 I pinned it, then stitch it, leaving an opening under the sleeve about an inch wide. 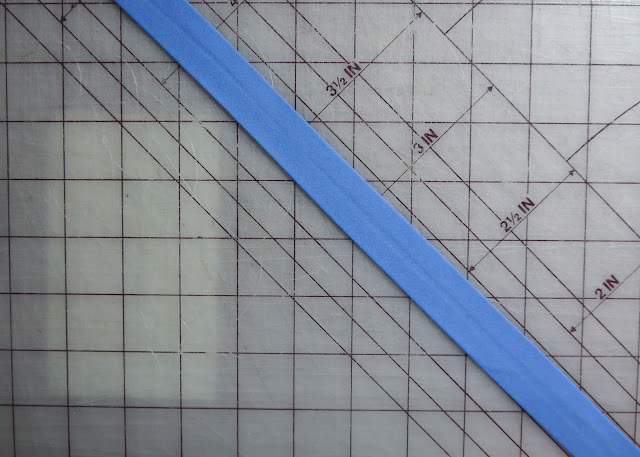 This is where I put the elastic in. 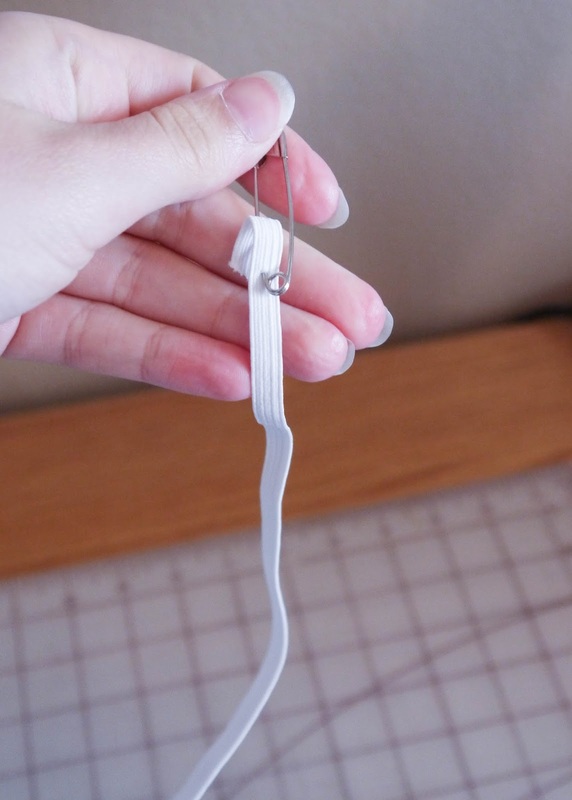 To thread the elastic in I fold the elastic over at the end and put a small safety pin on the end. 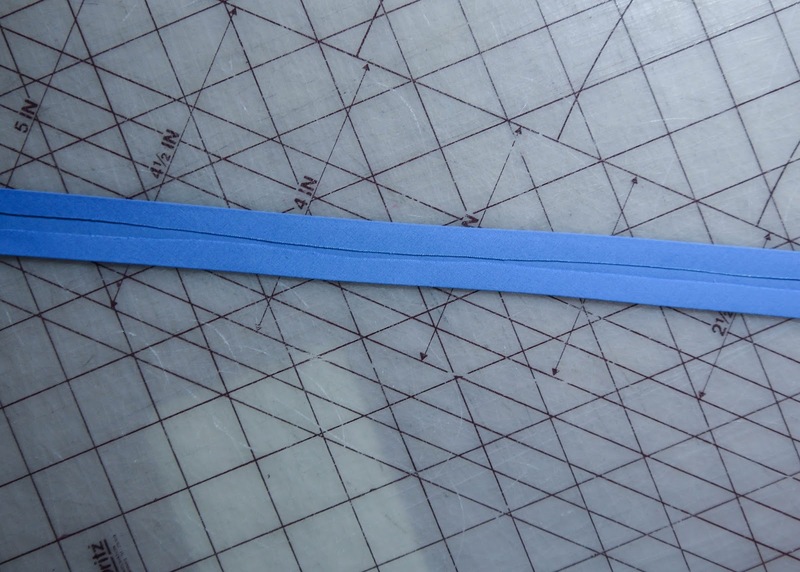 I usually don't cut the elastic until after it's threaded all the way through. 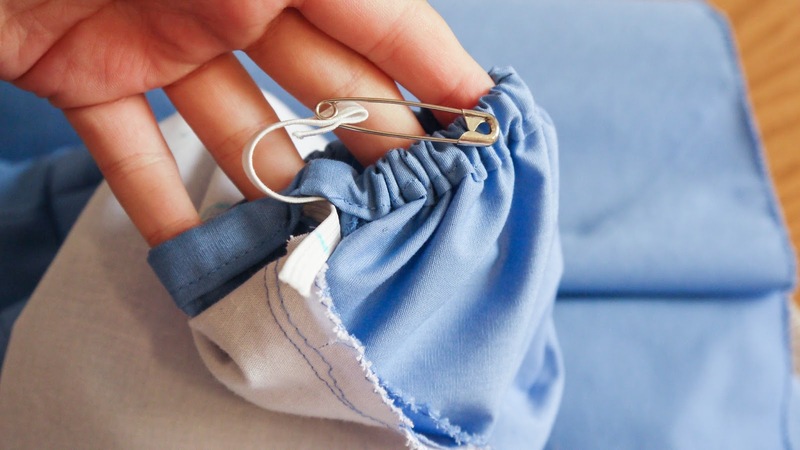 It makes it easier to pull it through when you have more than you actually need. 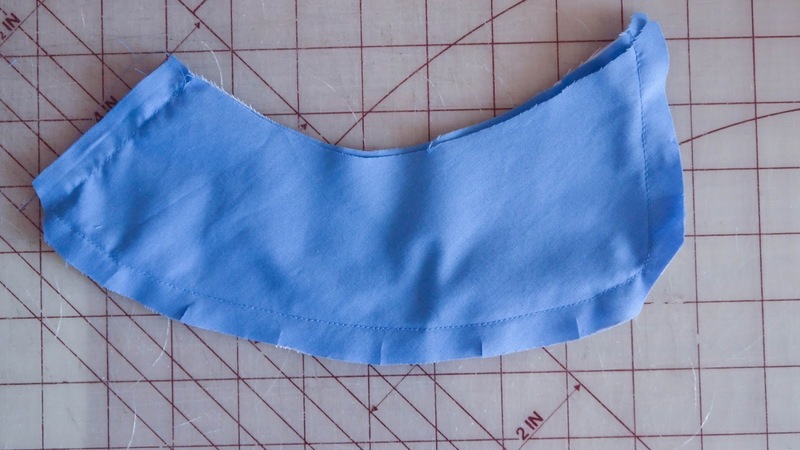 After it's pulled all the way through I cut the elastic to where I want it, then stitch the two ends together. 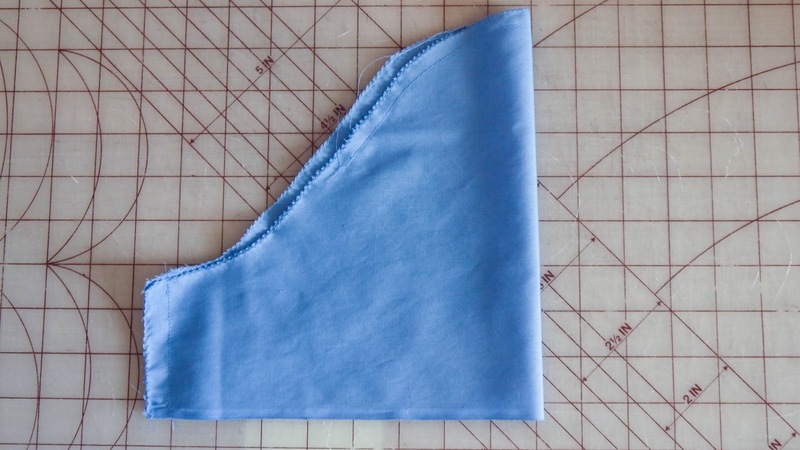 Then I folded the ends flat and stitch them down once more. This keeps it more secure and less likely to come undone, as well as makes it lay flatter. Now I attached the skirt and the bodice, using a 1/2" seam allowance. 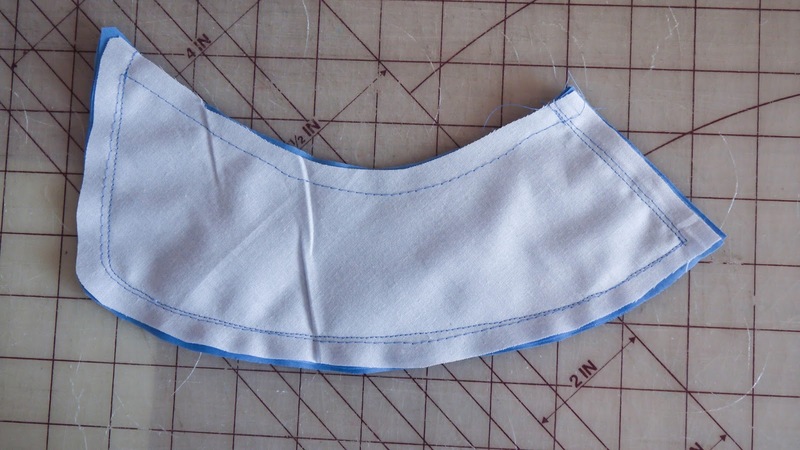 Here's the back, where I left the skirt open for my zipper. 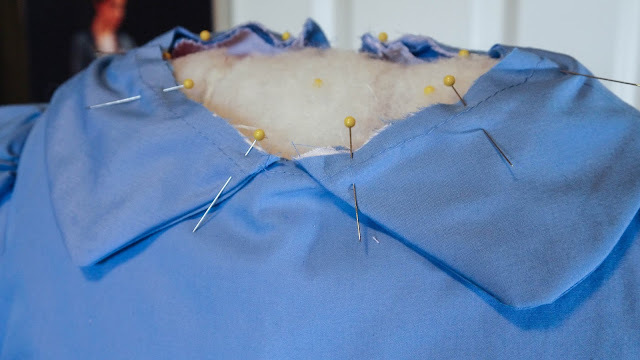 Next I stitched my zipper in. For this dress I used an invisible zipper. Back to the collar... Here's my pieces after being ironed. After that I understitched the bias tape to keep it flat on the inside. Then I laid it flat to the inside of the bodice, and whip stitched it down by hand. 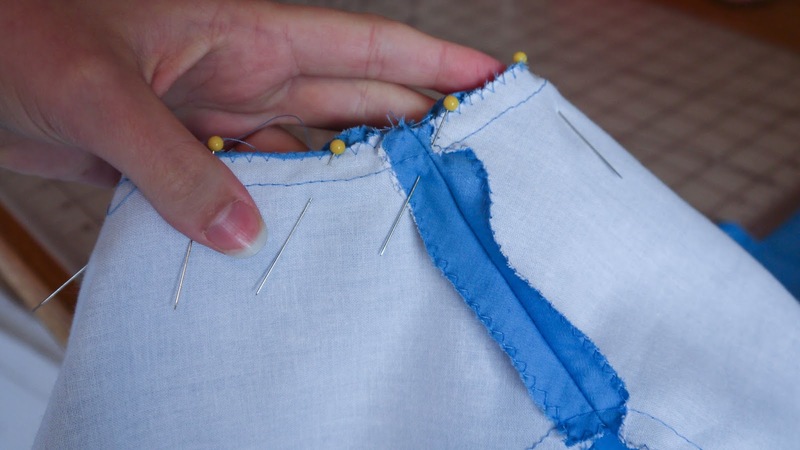 After that I hemmed the skirt and TA-DA! 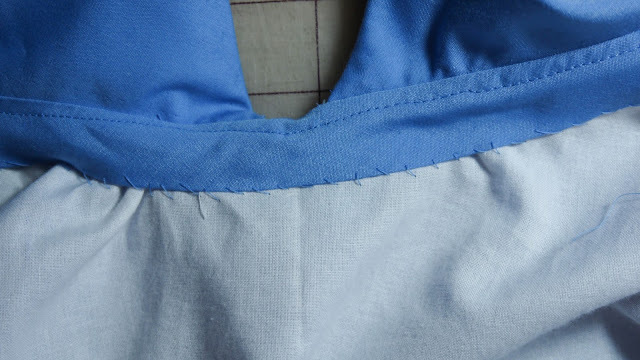 One Alice in Wonderland dress done! 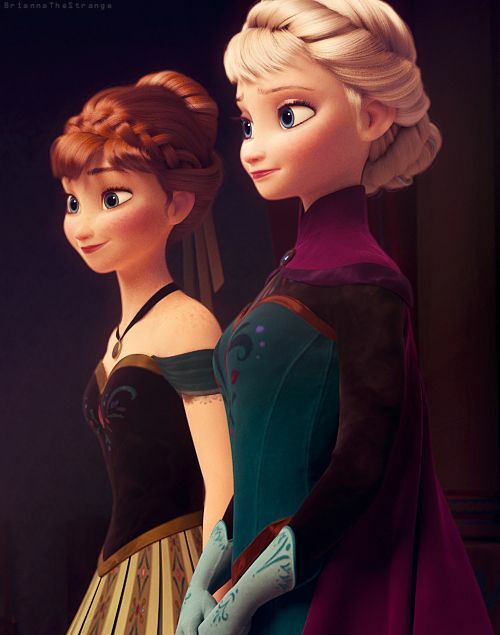 See how to make the apron HERE.